Characteristics Of An Entrepreneur: Do You Have What It Takes? What's the Difference Between Marketing and PR? 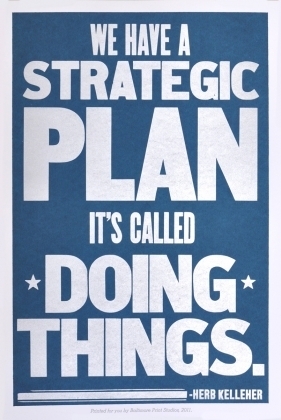 A business plan is one of the most important things you will ever create for your business. As a start-up, it helps to outline your pathway to a sustained profit. As an established business, keeping your business plan up to date and revisiting it on a regular basis keeps you on track. Measure your achievements against the milestones you set out for yourself. I have worked with clients both in the start-up phase as well as established businesses to develop their business plans. In both cases most don’t realize how much you need to prepare before you start so you can make sure you don’t miss anything. Be unique: Following a sample business plan is not usually in your best interest. There is nothing wrong with using it as a guide, but your business plan should be as unique as your business is. Just because it is a business document, doesn’t mean that it can’t tell a really exciting story. In fact, it should, but stay away from “marketing speak”. An executive summary is necessary: Sometimes this is the only thing that investors will read before making an initial decision. It should be the last thing you write and it should SUMMARIZE EVERYTHING in your business plan in two pages or less. Summarize what you do in one sentence: So many people get through an entire business plan and it is still unclear what exactly the purpose of the business is. If you start off by summarizing in one sentence, you can add detail from there. Know your target audience(s): You should be able to talk about them as groups of people based on both demographics and psychographics. Know your market: Do some research and see if you can find some good data to justify your entrance into the market. Know how the market is segmented: How does your target audience fit into things? Are you limiting yourself with a really narrow scope? Are you trying to cast your net too wide? Know your competition: Be realistic about this. If you are a small start-up, your direct competitor may not be a multi-national billion dollar organization. However, you can aspire to that! Know your differentiators: What makes you sure you will succeed against your competition? Tell potential investors how you will stand out. Create a financial forecast: Your financial plan should talk about the money you are going to make in the future. This is called financial forecasting. It is a pretty good idea to forecast 3-5 years to give everyone a sense of the growth you plan to achieve financially. Charts and graphs are your best friends: A document that is just long blocks of text can be cumbersome to read. Break it up by creating visuals out of your text and data. Images should have purpose: Putting an image in the document just for the sake of using an image is not a great idea. Make sure it’s there for a purpose, just like your business. Include details: You can be detail oriented while still being concise. Make sure you cut out the fluff and fill the space with necessary information. List your references: Any data or facts that you use throughout your business plan should be from a credible source and listed in the appendix. Your grandma may not be the most credible source to talk about what kids like these days, and the same goes for Wikipedia. Don’t be afraid to hire an expert: Sometimes, an expert can give you insights into your business plan you may not have thought of. Leave time for review: It is important to take the time to do a final review of your business plan before sending it anywhere. Even better is to have someone else read it for you and give you feedback. In many cases, when creating a business plan I like to apply the Goldilocks principle to business. There is that sweet spot where you are at the right temperature and the bed is just soft enough. Your business plan, when you get it just right, is the narrative that will attract investors and consumers to your business.